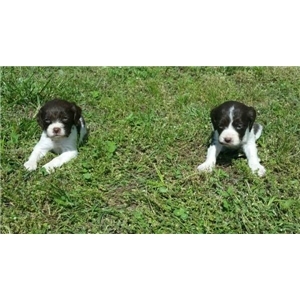 AKC registered Britany pups for sale. Dad an American strain with Nolan's last bullet blood lines. Mom is a French strain. Paired these 2 dogs because they are the best 2 hunting dogs I've ever had. 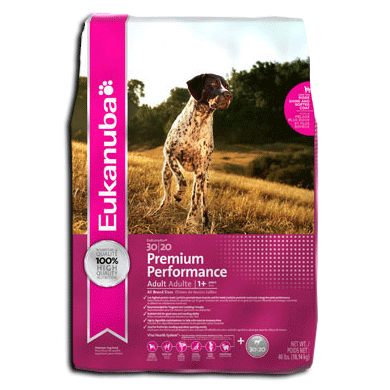 Have had excellant reviews from prevoius litters. 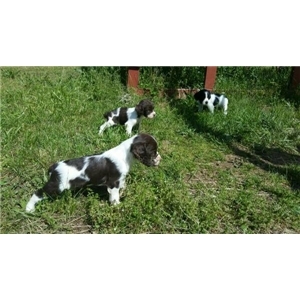 2 males, black and white and 2 females liver and white left. $350 for the males and $450 for the females. Ready to go now. Call or text Rusty at 417-252-1907 or email.